With an impressive career spanning nearly three decades, James Beard Award Nominee Elizabeth Blau is the founder and CEO of restaurant development company Blau + Associates, and is widely credited with transforming Las Vegas into the world-class culinary destination it is today. A renowned restaurateur, Blau’s skilled touch defines her work in Las Vegas and around the world. A graduate of the prestigious Cornell School of Hotel Management, Blau began her career with famed restaurateur Sirio Maccioni. As Maccioni expanded the Le Cirque brand to Las Vegas, Blau’s work caught the attention of casino developer Steve Wynn. 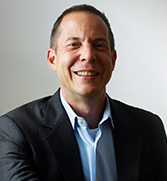 As the vice president of restaurant development for Mirage Resorts, Blau revolutionized the food and beverage operations at the Bellagio and persuaded award-winning chefs to join the company and the flourishing Las Vegas dining scene. Wynn turned to Blau again with the opening of Wynn Las Vegas where she served as executive vice president of restaurant development and marketing. 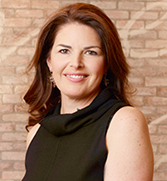 In 2002, Blau parlayed her extensive experience in the restaurant industry to found Blau + Associates, a firm dedicated to creating world-class hospitality experiences. Assembling an impressive team of experts, Blau quickly turned the firm into one of the foremost restaurant development companies in the field with an impressive client list that includes New York’s Rainbow Room, Montage Resorts, Ritz Carlton Hotels and Resorts, Netjets, Celebrity Cruises, Trump Casinos, and Viceroy Hotels and Resorts among many others. In 2012, Blau and Canteenwalla embarked on their first solo independent venture, Honey Salt. Offering a glimpse into the couple’s culinary life, Honey Salt features the foods, drinks and vibe they have shared with friends for years. A second Honey Salt is scheduled to open as part of the parq resort in Vancouver, BC in 2017. In partnership with TV’s Cake Boss Buddy Valastro, Blau + Associates landed on the Las Vegas Strip in 2013 with Buddy V’s Ristorante. Offering Italian favorites pulled from Valastro family recipes, Buddy V’s serves Cake Boss fans authentic comfort food. Blau + Associates’ newest venture, Andiron Steak & Sea, which opened March 2015, brings fine dining to the Las Vegas suburbs with a celebration of all things grilled, roasted and shucked. Already a hit with locals and visitors, Andiron continues to elevate dining in Las Vegas with a thoughtful menu created for carnivores and vegetarians alike. Blau’s awards and accolades among the industry are numerous, and she is dedicated to serving both her industry and her community. She has appeared as a judge on Food Network’s Iron Chef America, is an annual judge for Hotel Magazine’s best restaurants, and has been featured on the Travel Channel and the Martha Stewart Show. She was one of three investors on the third season of CNBC’s Restaurant Startup alongside Tim Love and Joe Bastianich and is a member of OpenTable’s advisory board. Blau has delivered addresses at storied venues such as the Culinary Institute of America, Cornell University, and the Ecole Hoteliere in Lausanne, Switzerland, and is a member of the James Beard Foundation and Women Chef’s and Restaurateurs (WCR). Blau passionately supports local organizations including Communities in Schools and Three Square, where she serves as the Culinary Council Chair to help eliminate hunger in Southern Nevada. Blau also serves as a trustee for the Culinary Institute of America, where she chairs the Education Policy committee, and also serves on the Global Advisory Board at the University of Nevada Las Vegas. She lives in Las Vegas with her husband Kim, their son Cole, and their two golden retrievers Brookie and Dodger. Chef Kim Canteenwalla’s experience can be described as nothing short of diverse. As chef-owner of the award-winning popular local’s restaurant Honey Salt in west Las Vegas, Canteenwalla gets to create inspired dishes with a focus on seasonal ingredients and a farm-to-table approach. On the world-famous Las Vegas Strip inside the Grand Canal Shoppes at Venetian|Palazzo, he takes the helm as executive chef of Buddy V’s Ristorante where he’s partners with Buddy “The Cake Boss” Valastro and is tasked with recreating popular Italian heirloom dishes from the Valastro family vault. His two new projects – the recently opened Made.LV, a modern American tavern in Tivoli Village that will serve contemporary comfort food favorites, and Andiron Steak & Sea, a Thomas Schlesser-designed restaurant located in the the shopping mecca Downtown Summerlin featuring all things grilled, roasted, shucked and seared – add to the eclectic mix of culinary offerings at the skilled hands of Canteenwalla. 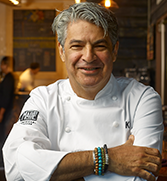 Throughout all of these projects, Canteenwalla’s love for fresh and exciting flavors coupled with his passion for the kitchen, create unique dining experiences that have garnered the chef and his restaurants world-wide accolades. As principal and cofounder of Blau & Associates, Canteenwalla brings to the table more than 25 years of hospitality expertise and industry leadership. His ambition to perfect the art of dining reflects his sincere love of food and genuine dedication to exceptional service. While his formal training took place at the Institute at St. Denis in Montreal, Canteenwalla traveled a tremendous amount and these culinary expeditions took him around the world in search of unusual flavors and new techniques. He spent time in locales including Singapore, Thailand, Bali, Dubai and Cambodia, among others and honed his skills with projects ranging from the flagship Four Seasons Hotel in Toronto, time abroad with the Raffles International Hotel Group and the Royal Garden Group, and back to the states with a stint at Beau Rivage as well as executive chef of the MGM Grand in Las Vegas. Canteenwalla has participated four times in the Best Hotel Chefs in America series at the James Beard House in New York, and in 2005 teamed up with celebrity chef and partner Kerry Simon on Food Network’s Iron Chef America series for a rousing victory. Canteenwalla eventually became executive chef and managing partner, along with Blau, of Society Café at Encore which was named as one of the “Best New Restaurants of 2009” by celebrated food critic John Mariani. When not in the kitchen, Canteenwalla proudly serves on the Culinary Council of Three Square, a Las Vegas-based food bank dedicated to feeding the hungry, and assists Communities in Schools of Southern Nevada and Child Focus with charitable endeavors. In 2009, the I Have A Dream Foundation of Las Vegas named Canteenwalla Dream Builder of the Year. He enjoys golfing and visiting national parks with his wife, son and the family dogs Brookie and Dodger. Jason Lapin developed a passion for all things culinary at the age of fourteen while working as a busboy at Don’s Drive-In in Livingston, NJ. This didn’t come as a surprise to his family. Two previous generations of Lapins built their careers in the food industry. His grandfather, Joseph Lapin, was a founding member of Restaurant Associates and his father, Kenneth Lapin, served as a senior executive for Wechsler Coffee, La Touraine and Chock Full of Nuts. Today, Lapin employs the skills obtained from more than 25 years of frontline hospitality experience to conceptualize, develop and operate outstanding restaurants. Lapin joined Blau & Associates in 2004. In collaboration with principals Elizabeth Blau and Kim Canteenwalla, Lapin built the firm into an internationally recognized food service development company with an impressive and extensive client roster. Recently, Lapin spearheaded several of Blau & Associates high profile projects; the development and launch of the Terranea Resort in Palos Verdes, the opening of the Viceroy Hotel and Resort in Snowmass and the reintroduction of the Palm Court at the Plaza Hotel in New York City. Lapin also was instrumental in the successful openings of the group’s partnership ventures: Society Café at Encore, Simon Restaurant & Lounge at Palm’s Place and Cathouse at the Luxor Las Vegas. Lapin continues to work closely with each venue’s management team to enhance on-going operations and maximize profitability. Lapin began his successful fine dining career at Mark Miller’s Red Sage in Washington D.C. He assisted Miller in opening this landmark restaurant smoothly and efficiently. Two years later, Wolfgang Puck selected Lapin as the General Manager for Spago Las Vegas. Lapin contributed greatly to Spago’s instant success and was one of the original pioneers in the transformation of Las Vegas into a culinary powerhouse. Returning to New York City in 1993, Lapin worked with legendary designer Adam Tihany before joining the Glazier Group. While at Glazier, he developed and opened Tapika, a restaurant famed food critic Ruth Reichl deemed, “another urban fantasy about the sort of food people in the West might eat if they were really, really lucky.” Lapin then teamed up with Sir Terence Conran as Vice President and General Manager of Guastavino’s Inc. Together, they created a groundbreaking 25,000 sq. ft. cocktail, dining and event space with superlative catering functions beneath the Queens Borough Bridge. 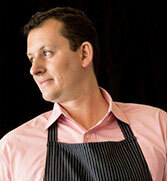 Lapin left New York to open Jar Restaurant, a modern chophouse, in Los Angeles. He subsequently returned to Las Vegas to launch Craftsteak at the MGM Grand. Lapin’s extensive front-of-the-house knowledge helped earn Craftsteak the honor of Las Vegas Life Magazine’s Epicurean Award for Best New Restaurant in 2003. Lapin received a Bachelor of Science Degree in Financial Management from Cornell University’s School of Hotel Administration. In the spring of 2009, he returned to his alma mater to participate in the well-regarded Hotel Ezra Cornell (HEC) conference, a student-run event with an 86-year old heritage. Lapin also participates in the Global Gaming Expo (G2E) that takes place in Las Vegas annually. Lapin currently lives in Las Vegas. He has two children, Gus and Matilda. He dedicates much of his spare time to charities that support families of children with autism, including Generation Rescue and T.A.C.A. Mede comes to Blau + Associates most recently as Corporate Chef for Shutters on the Beach & Casa Del Mar in Santa Monica, California. In this position Mede oversaw six By The Blue Sea Restaurant Group restaurants, and developed new concepts for their “Catch” American seafood restaurant as well as “Terazza” Mediterranean Café & Lounge. Prior to his position at Shutters, Mede was Executive Chef at Nobhill and pre-opening manager and Executive Chef at American Fish, two Michael Mina restaurants in Las Vegas, Nevada. Mede also assisted Mina with back of house opening responsibilities at Stripsteak (Las Vegas, NV), XIV (Los Angeles, CA), Bourbon Steak and Saltwater (Detroit, MI). Mede brings over 20 years of international and United States culinary and hospitality experience, having worked in Germany, Great Britain, Chicago, Las Vegas and Los Angeles. His past positions include Senior Chef de Partie at Le Manoir Aux Quat’ Saisons, a Michelin Two-Star restaurant in Great Milton, Oxford, Great Britain, Sous Chef at Michelin Two-Star Charlie Trotter’s in Chicago, Illinois as well as Executive Sous Chef at the James Beard Best New Restaurant award-winner Bradley Ogden in Las Vegas, Nevada. 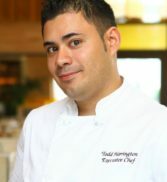 Originally from Philadelphia, Harrington attended the Pennsylvania Culinary Institute in Pittsburgh after working as an assistant chef at Chef Alan’s American Bistro. Drawn by Las Vegas’ exciting and expanding restaurant scene, Harrington relocated to the Entertainment Capital of the World in 2004. After serving first as Assistant Executive Chef at Treasure Island Hotel & Casino, he landed his first stint at Caesars Palace. There, he was senior chef tournant at the legendary Nero’s Steakhouse. In 2008, he received an opportunity to serve on the Encore Las Vegas opening chef team, serving as assistant chef for in-room dining. Then, in spring of 2009, he received an irresistible offer to return to Caesars Palace, where he was offered the executive chef position at the Augustus Café. It was there where he caught the eye of James Beard Award winning celebrity chef, Michel Richard. 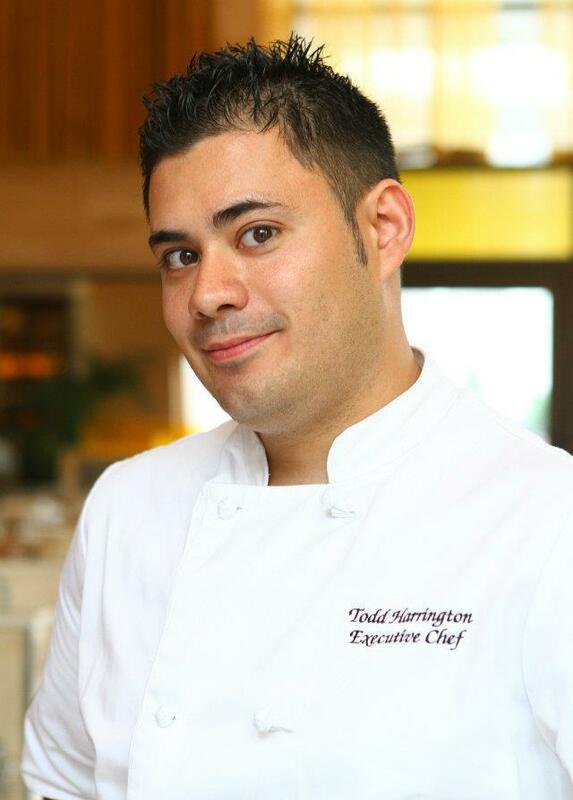 His eagerness to learn, proven prowess at team leadership and dynamic flair for contemporary, palate-pleasing fare caught the attention of Richard, who personally selected Harrington to choreograph the Las Vegas kitchen’s day-to-day operations, among other projects in Atlantic City and New York. As the Director of Culinary Operations of Blau & Associates, Todd Harrington takes the next leap in an ascendant career that marks him as one of the culinary world’s rising stars. A graduate of SF State’s hospitality program, Andrew is responsible for market research and financial modeling for Blau & Associates. His professional career represents a balance of operational and financial experience having previously worked as a chef and caterer.